Allies of President Donald Trump pushed back on the presumed severity of Michael Flynn’s guilty plea. They said it had nothing to do with any collusion between the Trump campaign and Russian officials. Allies of President Donald Trump pushed back on Friday at the severity of former national security adviser Michael Flynn’s guilty plea as a part of special counsel Robert Mueller’s Russia probe, saying it did not entail collusion between the Trump campaign and Russian officials last year. 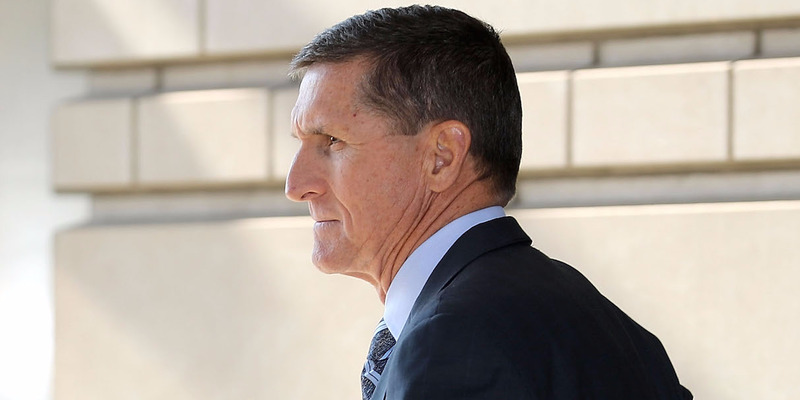 Flynn pleaded guilty in federal court to making false statements to the FBI about his discussions last December with former Russian ambassador Sergey Kislyak. Flynn was also under intense scrutiny from investigators for his work at his outside intelligence firm and for dealings involving the Turkish government, including his failure to register properly as a foreign agent. That’s why legal experts who spoke to Business Insider inferred that it was relatively clear Flynn had accepted lesser charges in exchange for information on a larger person of interest in the Russia probe. Soon after Flynn entered his guilty plea in federal court,ABC News reported, citing a source close to Flynn, that he was prepared to testify against President Donald Trump and other top campaign officials. Conservatives and Trump’s supporters, though, suggested the plea arrangement was not a sign of impending doom for the administration. “So this is what Mueller does,” he tweeted. Republican Rep. Marsha Blackburn of Tennessee, during a Fox News interview, drew a connection between Flynn’s guilty plea, Democrats, and the 2010 Uranium One deal that has dominated conservative media in recent weeks. But at least one frequent Fox News personality seemed to signal a point with which many in the legal community agreed in the aftermath of the Flynn bombshell – it was terrible for Trump.